Disclosure: I was provided with a promotional code to try out the PNP service. However, all views shared are mine and mine alone. My girls are now old enough where they get excited about the holidays, especially Christmas. In addition to meeting Santa and sitting on his lap at the mall for a photo op, I have been looking online for fun ways for the girls to interact with Santa. My search led me to the Portable North Pole site. Have you heard of the Portable North Pole? I was surprised to learn that it has been around for around for awhile, as this year will mark its 7th holiday season. The Portable North Pole (PNP) lets parents create videos using personal information they share about the special child in their life, as well as include personal photos, to make for a truly memorable experience your child will love. Available for a Limited time: the Pre-Season Magic Pass! All the goodies of the Magic Pass PLUS the Santa-Approved Certificate. You can check out the Portable North Pole (PNP) videos on their Youtube channel to see what types of videos you can create and share with your child(ren) this holiday season. 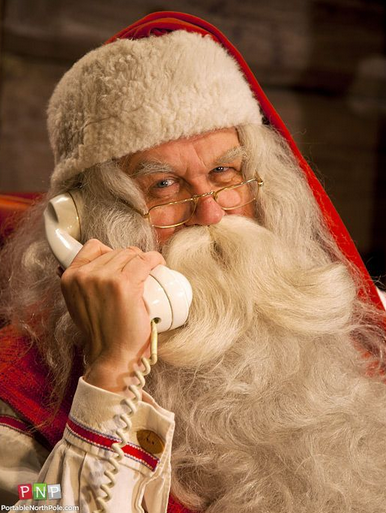 In addition to the three Portable North Pole video options ( the free video message, the unlimited premium videos, and the Magic Pass), parents can also choose to send recorded phone calls to children, to get them even more excited about Santa's upcoming arrival. We have tried out a handful of online sites that offer similar Santa videos, but I have to say that I am very impressed with the quality of the videos and love how they can be personalized to include personal photos of your child and their home, as well as the option to share and view these videos on your mobile devices. 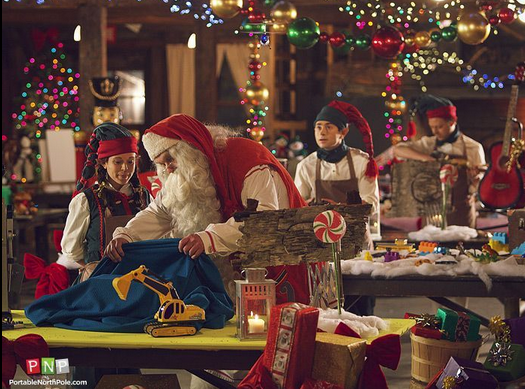 Even if you have used the Portable North Pole site in the past, you will want to make a point to check it out this, there 8th year, as they have added some new features that will make using the enchanted portal that much easier and fun. There is also a mobile version of the PNP that you can download through either the iTunes or Android stores, that will allow you to create personalized video messages and calls on the go, right from your Apple and Android devices. Other fun new features you will find when creating a personalized video from Santa for your child are that the Verdict Machine is now powered by a pedaling elf who'll keep your child engaged and entertained as they wait to see if they have made it on Santa's naughty or nice list, as well a new video that catches the elves getting into trouble while doing daily chores around the North Pole. Not only did my girls get a kick out of the personalized videos and calls I created for them, but I have to admit I found myself believing a little more and getting excited about the holidays and all the magic that surrounds Santa and the North Pole. 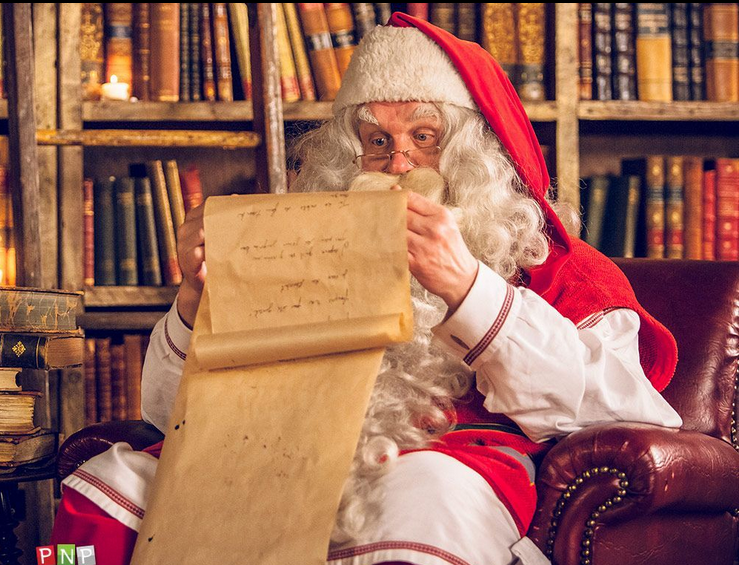 This is one personalized experience that will become a staple in our household for years to come, as the girls will be able to find our if they have made Santa's "naughty" or "nice" list, while getting a glimpse into the life of Santa and his elves and see what the North Pole really looks like. It is truly a magical place and one that is captured and shared so beautifully in these personalized videos from Santa. I hope you take the time this holiday season to check out the Portable North Pole, and create a customized video for that special child in your life. And, don't forget to tell family and friends about the PNP, so that they can experience the wonder and excitement that the Portable North Pole Experience has to offer, including behind the scenes of Santa's village, the Verdict machine and how it runs, as well as seeing Santa address your child by name and talk to them about that special gift they hope to get and more. With Christmas fast approaching, you don't want to delay in creating and sharing a truly one of a kind personalized video from Santa with your child. So, head on over to the Portable North Pole (http://www.portablenorthpole.com) today and get started. To receive the 20% off a video purchase visit www.portablenorthpole.com and register for an account, then to redeem their 20% you can direct them to the following link: http://bit.ly/2g1F2RT. Your 20% will automatically be deducted and you will see the price difference right away! Don't forget to follow the Portable North Pole on Facebook and Twitter, to stay up-to-date on special offers, feature updates and more. The PNP is also on Pinterest, too! I have never heard of the Portable North Pole. This is really a cute and fun idea. My kids would have enjoyed this when they were young.